In 2011 The Beach Boys released The Smile Sessions. The definitive collection of the bits and bobs that went to make up the great lost album of all time. Some of the material was already well know. Versions of ‘Wind Chimes’ and ‘Vegetables’ appeared on Smiley Smile in 1967. ‘Cabinessence’ and ‘Our Prayer’ were officially released in 1969. And if you were collector, any amount bootlegs had been circulating for decades. For the first time, though, everything was officially brought together. A total of 139 items, many of which were snippets that could happily have stayed on the shelves. And yet within there were wonders. Not least ‘Mrs ‘Leary’s Cow’ in all its pristine, fire-helmeted glory. Fundamentally, though, the release of The Smile Sessions was never really about the music. It was a memorialisation of the very idea of Smile; a commemoration of the ultimate musical what might have been. The Basement Tapes Complete is similar. 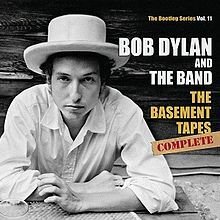 From the unexpected appearance of cover versions of new Dylan songs in late 1967, to the overdubbed release of some of the tracks themselves in 1975, to the circulation of innumerable underground versions over the years, The Basement Tapes are part of contemporary musical mythology. Their allure only increasing as rumours of newly discovered recordings emerged over time. Now, all the existing tapes have been fully restored, properly curated, and finally released. A total, coincidentally, of 139 tracks. The sound quality can be pretty poor. (There’s a clue in the title as to why). The performances are sometimes approximate, to put it kindly. Some of the offerings last less than a minute, keeping only the most ardent Dylanologist satisfied. And many of the other tracks, particularly the cover versions on the early discs, fall into the ‘it’s-clear-why-there-was-no-rush-to-release-them’ category. Yet, still there are treasures. To hear ‘You Ain’t Goin’ Nowhere’, ‘Tears Of Rage’, and others without the 1975 overdubs is worth the entrance fee. Some of the alternative takes are compelling, including ‘Open the Door Homer (Take 3)’, corpsing and all. There’s the odd unreleased nugget. ‘Sign On The Cross’ for one. And it’s true that the lo-fi quality chimes nicely with a certain 21st century recording ethos, making the imperfections somehow contemporary. In the end, though, it doesn’t really matter. Like The Smile Sessions, The Basement Tapes Complete isn’t really being released as a piece of music, it’s being released as a piece of musical history. And that’s just fine. Field Report have a lugubrious quality to them. Über-lugubrious, you might even say. The basic format is traditional. Gentle Americana. Yet sometimes the songs are played so slow and the vowels are extended so far that you fear something might just break. It creates a nice tension as well as a huge mid-Western-style space in which tall tales can be told and at quite some length. ‘30,000 feet I am seated by a surgeon”, we hear on the title track. “Said he fixed the dicks of Shah’s sons”. A likely story. Highlights in this vein on their second album include ‘Pale Rider’, ‘Michelle’ and the lovely closer, ‘Enchantment’. The worry is that it could all get a little bit samey, but Field Report are not afraid to mix things up just enough. A Neil Young-inspired piano ballad here. Some female backing vocals there. The biggest change from last time, though, is the introduction of the merest hint of electronica. Taking a leaf out of the magnificent Matthew Houck’s book, there’s an undercurrent of inorganic burblery on a few of the tracks. It works really well, speeding things up on occasions and allowing ‘Wings’ to take flight and soar and ‘Cups and Cups’ to make you want to come back to the table and fill up with more. 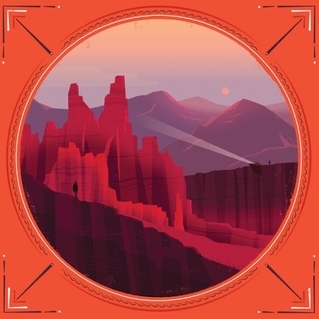 While these sounds point towards new horizons, for now Field Report are still roaming across pretty much the same musical territory as bands like Dawes and Fossil Collective. There’s plenty of room for everyone, but Field Report know how to carve out their own special space. Adrian Crowley doesn’t write throw-the-curtains-wide-open-I’m-glad-to-be-alive songs. In fact, they’re usually in the wrist-cuttingly miserable category. Previous offerings include ‘From Champions Avenue To Misery Hill’ and ‘The Saddest Song’, about which it can be safely said that he won’t be sued for misrepresentation in the title. On his new album, though, there’s an almost positive spirit. “Our days are golden palominos”, he sings. More than that, there’s a new-found energy. For the most part, it’s because of the strings. They’re ever present, swirling around, moving in and out of the songs, chivvying things along. But they’re not the only welcoming move. There are female background vocals, softening up a couple of the tracks. And just when things might be getting into an all-too-familiar rut, the mood is broken nicely, first by a short instrumental, and then by ‘The Wild Boar’, a Tindersticks-style spoken-word track, telling a haunting story that Willy Vlautin would be proud of. Yet this is still a comfortingly familiar Adrian Crowley album too. There are some characteristically wonderful turns of phrase. “Do you have a vacancy for a wet-leaf rail-track picker?”, he asks. And ‘The Magpie Song’ – “One part colour of forest at night, One part colour of virgin snow” – is so menacing that you expect Tippi Hedren to appear on the scene at any minute. 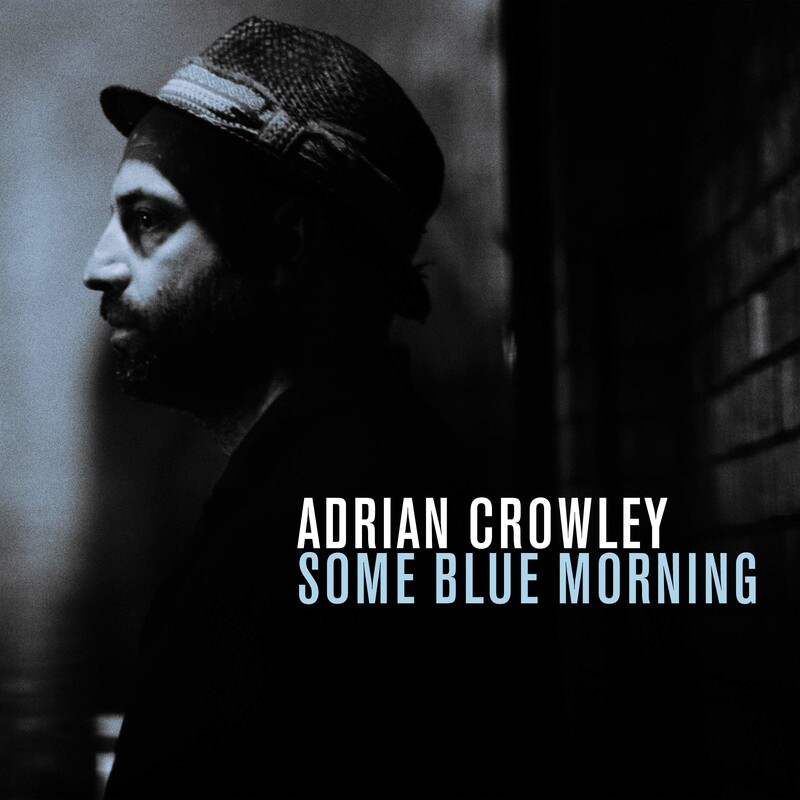 Adrian Crowley is one of the finest singer-songwriters around. A master story-teller. A soul-revealing communicator. And ‘On Some Blue Morning’ an almost cinematic-sounding music-maker. Arthouse, to be sure, and none the worse for that. Diehard Neil Young fans are like any other. They’re unswervingly loyal. Which is a good thing, because on more than one occasion the greatest living Canadian has done his darnedest to divest himself of even his most devoted followers. Tonight’s The Night got rid of the Harvest set. Trans did for the hippies. Arc left only those with severe tinnitus standing. Fork In The Road encouraged others to take a different turning. Now there’s Storytone. Officially, it’s a single album with Neil plus big band or orchestra, but sans Crazy Horse and Old Black. Unofficially, it’s a double album with solo and unplugged versions of the big band and orchestral songs. Just Neil plus a single guitar, banjo, or piano, with the occasional harmonica thrown in for extra effect. What’s interesting, though, is that the ‘Deluxe’ edition, which is pretty much the standard offering in the usual outlets, places the solo versions first. These are the ones that people are going to hear the most. So, the headline news that Neil Young has gone and made an album with a cast of thousands suddenly seems to have been relegated to the back pages. Was it the right decision? Is any of it half-way decent? Or is it just another case of The Shocking Pinks? Well, there are some worthwhile solo moments. ‘When I Watch You Sleeping’ has a nice Prairie Wind-era vibe to it. And the by-now-familar ‘Who’s Gonna Stand Up’ still has the best hook on the album. What’s most striking, though, is the mic’ing on this part of the album. It makes everything both pristine and intimate. You can hear the foot pedals creaking on the piano-led songs. The full-on versions, though, are more of an acquired taste. ‘Say Hello To Chicago’ is ruined with clichéd big band parping and hooting. And some of the orchestral songs are so drowned in strings that they sound like Disney scores. These versions work best when the orchestration is understated. ‘When I Watch You Sleeping’ is still worth a listen, though if you heard it on its own you’d probably think that a solo version would sound better. You’d be right. But the closer, ‘All Those Dreams’, is worth the time. Another case of restrained orchestration, it builds nicely on the solo version, even if the ‘cucumber’ lyric still jars. 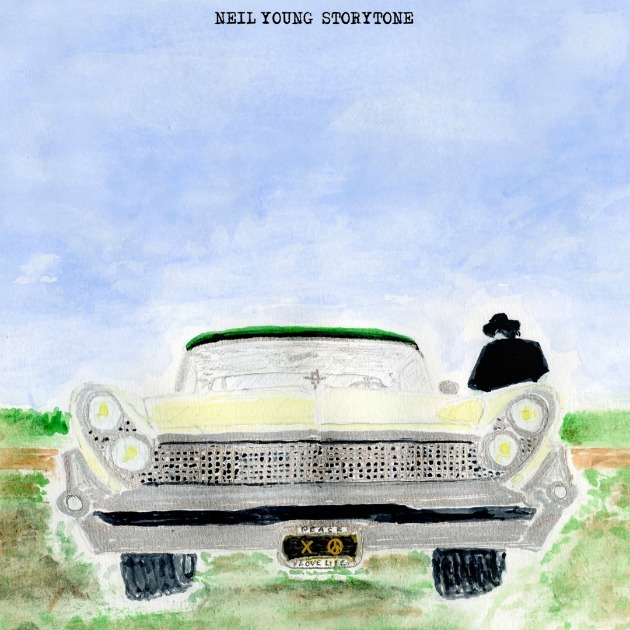 With Storytone Neil Young has managed to alienate a few more fans. But the diehard ones will remain, eagerly and quite rightly awaiting the next unpredictable instalment in the great man’s career.